The 2019 home season begins April 11; All-Star Game slated for 7:35 p.m. The Power's 2019 home schedule begins on April 11 against the Augusta GreenJackets. 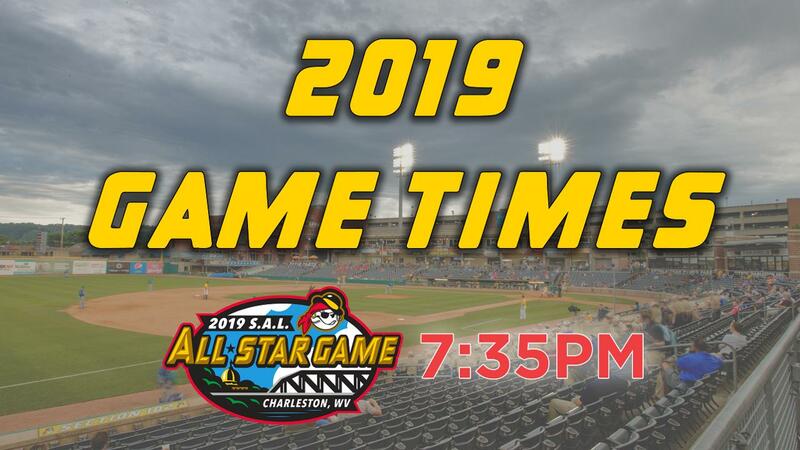 CHARLESTON, W.Va.(January 24, 2019) - The West Virginia Power is excited to officially unveil the times for its 2019 home schedule, including the South Atlantic League All-Star Game on Tuesday, June 18. All Monday through Friday game times are set for 7:05 p.m., with several exceptions, while most Saturday contests will start at 6:05 p.m. and all Sunday affairs will commence with a 2:05 p.m. first pitch. The home season begins Thursday, April 11, with the first game of a four-game series against the Augusta GreenJackets at 7:05 p.m., and it concludes Monday, September 2, against the Greensboro Grasshoppers at 2:05 p.m. Every team except for the Charleston RiverDogs will make at least one trip to Appalachian Power Park during the 2019 campaign, with Greensboro and the Delmarva Shorebirds topping the league with three series apiece in Charleston. Download the 2019 home schedule here! Several special start times are adjoined to the 2019 slate, including two Grand Slam School Days on Wednesday, April 17, and Monday, May 13, when hundreds of students will trek to downtown Charleston to enjoy a morning baseball game that gets underway at 10:35 a.m. As has been the case in previous years, both Saturday affairs in April will start at 2:05 p.m., as will the Power's Memorial Day matinee on Monday, May 27. West Virginia will also have two 12:05 p.m. first pitches in 2019, scheduled for Wednesday, July 17, and Tuesday, August 6. The Power will host a season-high 15 contests in August, while welcoming teams to the Kanawha Valley 14 times in April, May and July, 11 times in June and twice in September. The 60th annual South Atlantic League All-Star Game is set for a 7:35 p.m. first pitch. More details on the 2019 All-Star Game and the week's festivities will be released at a later date. The West Virginia Power opens its 15th season, and first as an affiliate of the Seattle Mariners, on April 4 in Greenville, S.C., with the home opener slated for April 11 at Appalachian Power Park. Full season and mini-plan packages are on sale now. For tickets and more information on the 2019 season or the All-Star Game, please call (304) 344-BATS or visit wvpower.com.